There’s nothing I love more than a good Arthurian legend. And Philip Reeve has written a slammin’ one! In this realistic revamp, Myrddin (Merlin) is a smooth-talking two-bit politician, a slight-of-hand bard who knows there’s no such thing as magic, only human gullibility and greed. He takes a promising young warrior named Arthur and attempts to use his savage talent to unite the squabbling tribes of Britain, who have fractured into a million warring pieces after the fall of the Roman Empire. But despite all of Myrddin’s efforts to groom the brutish Arthur into something resembling a king, the man known as “The Bear” refuses to be tamed. Arthur continues to loot and terrorize neighboring communities just like the barbarian Saxons he has sworn to protect them from, even as Myrddin grows his legend as a fair and just leader throughout the land. Myrddin’s masterful manipulations and Arthur’s violent exploits are seen through the eyes of Myrddin’s young assistant Gwyna, an orphan girl who becomes an unwitting accomplice in the creation of the enduring, yet wholly man-made legend of Arthur. The players you know well are all here: Gwenhwyfar (Guinevere) Bedwyr (Lancelot) Peredur (Perceval) and of course, the wily Myrddin. Except in this reimagining, there is no fantasy to blunt the sharp edge of Arthur’s broadsword Caliburn (Excalibur). Reeve removes the gilded edges from the traditional Arthur tales and writes Camelot the way it might have been in a real time and place. The result is bleak, and often bloody, but brilliant. If you are as obsessed with Arthurian myth as I am, you’ll also want to read Kevin Crossley-Holland’s and Jane Yolen’s versions of the legendary king. This one is definitely on my TBR list… thanks for posting! You nailed this one, Jen. I loved the whole invasion of political spin into the Arthur pantheon. This is bloody brilliant. Reeve just gets better and better. Lynn! I know! SO AMAZING! I had read so many blah books in a row, and this one was such a WOW. Jen, between yours and Jenny Brown’s review at Shelf Awareness, this book is moving up and up and up my list of to-reads! I desperately need a WOW book! It is fascinating how Arthurian retellings have changed over time and how these changes reflect the society in which they were created. I have read other contemporary Arthurian tales which extract the magic as this version does, and countless fairy tales retellings that do the same. I wonder what that shift towards realism says about our society today? To be honest, I hated this book. I read a lot, and only in three or four cases in my life, have I never been able to not finish a book, no matter how terrible. I could not finish this book. I found the writing to be dry and repetetive and devoid of any juice. 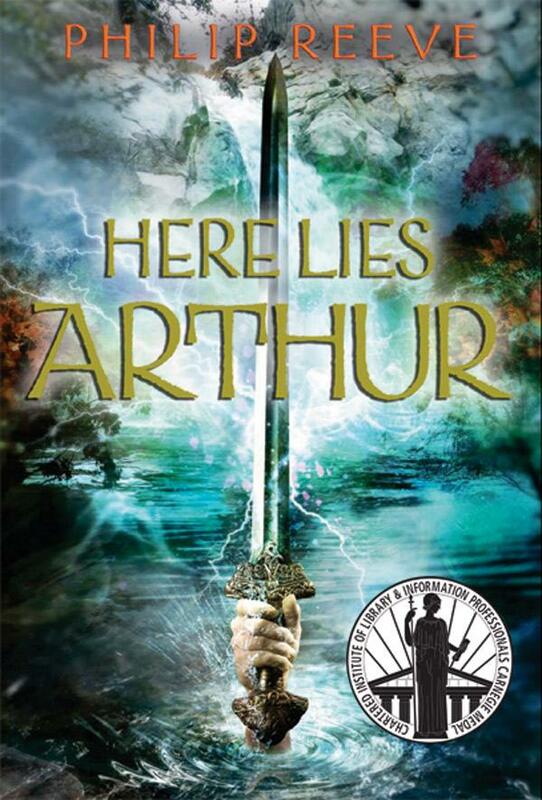 I love Arthurian tales, including the best, Le Mort d’Arthur. I felt that this story did not do the legends justice. At all. And I can put up with a lot.